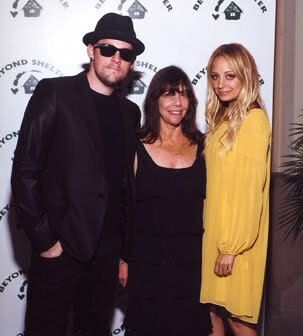 I have just came across this lovely picture of Nicole Richie and Joel Madden back in May 2008 at the Beyond Shelter anniversary celebrations. Some of you may remember that Nicole Richie auctioned this yellow tunic to raise money for the RichieMadden children's foundation. 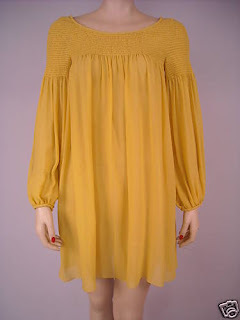 Well this yellow tunic now belongs to my friend Megan! - So jealous of her. But she does wear Nicole's tunic well! I miss her blonde hair! Wow that is amazing. I love the color! love this colour on Nicole!